You'd think, as an attorney, that I would really like rules. You know, one of those people that is in bed everynight at the same time, lunch at 11:30 on the dot, dinner at 7, etc. I'm not. I do like the rules of the law because a lot of attorneys don't bother to read them and I do, which puts me ahead of the game. But, lately, I've been thinking a lot about rules in life. Sure, we should probably go the speed limit to avoid tickets, drinking too much does cause one to worship at the water hole all night, taxes are due on April 15, no smoking under 18 etc. But, what about the rules we make for ourselves? Not rules like "we don't run, jump or throw things in the house," but rules that limit who we are and what we can become. How often do we not speak up for ourselves or an idea because of what someone might think--or because we think it might not be socially acceptable. I've really been coming out of some sort of shell lately. I'm not really sure where this infamous shell was hiding because I've always been pretty outgoing, or, at least not at all shy. I've made it a point in my life lately to avoid rules and break the mold. I still plan on paying my taxes by April 15, but I've sure handed out my share of business cards in elevators, lines at the grocery store, the library. I voluntarily tagged myself from Fruitful Spirit's blog. A - Available/Single? Single and Fabulous, Dahlings. C- Cake or Pie? cupcakes! G - Gummy Bears Or Worms? Neither. I like SourPatch Kids for this candy genre. I - Indulgence? 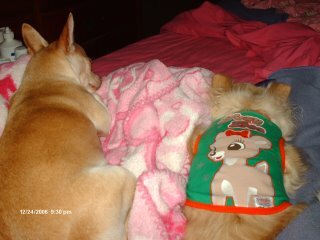 Chihuahua outfits and chihuahua fashion accessories. Q - Favorite Quote? "Woof, woof." T - Tag Three Four People? consider yourself tagged if you read this! U - Unknown Fact About Me? Despite that I am a workaholic 98% of the time, the other 2% you can't get me to lift a finger on anything. I've just had the most terrifying experience. We had Thanksgiving today with my extended family in Osage Country. I was gone from my house around 6-8 hours, and when I got home tonight Belicia was covered in huge red whelps. Her fur was even sticking up in places because her skin underneath was so red and upset. Frantic, I wrapped her in her favorite pink blanket and sped to the closest 24 hour pet ER. She was bit by some type of insect, and the vet felt like it was a spider, bee or wasp. She had to get a puppy IV and a shot. Once I found out she was fine I started crying. I guess from the let down of everything. So, now, I'm setting the alarm to get up and give her medicine all night. It makes me think of Greta's Mother helping her through her morning sickness. Happy Thanksgiving! The girls are always very excited about Thanksgiving, because they only get to eat meat on holidays. Woof! November 20th is a significant day for me. Four years ago today suicide came into my life, unwelcome, put up a tent and camped out for about a year. The experience stole my innocence, and I never fully returned to the person I was before this very personal tragedy. This post is one of my rare public service announcements. Please, please be aware that it can happen to anyone. Suicide does not happen to any one race, age, gender, social or economic class. It is also irrespective of educational background. If you know someone that you think has suicide knocking on their door, please take action. 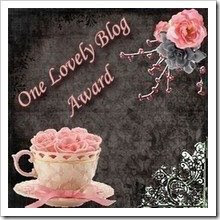 I've decided to make my "Things I Currently Love" a recurring post on the Pink Chihuahua Princess blog. Man, I really need to get to BestBuy to get a new USB cord! 1. I'm really into lunch (takeout, with friends, and on my infamous lunch dates) at this place. 2. I'm really into my orchestra. I love the friends I've made there and the opportunity to play my instrument. 3. I'm really excited about my newest friend that I met last week. He seems to be the most fun guy thus far. But, I don't know him that well. Have I told ya'll lately how much I love being single and fabulous?!?! 4. I've lost almost another dress size on this. 5. I'm still into my SATC girls and the Lovebites microseries. Today I went to a baby shower for my cousin's wife. 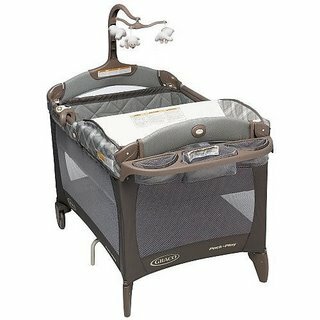 I bought her this Pack & Play, which is pretty heavy when you have on red, patent leather shoes with 3 inch heels. The shower's hostess comes to the door when she sees me coming in and then just stands there. She doesn't offer to open the door or help me carry it. When I finally get the Pack & Play into the house, she makes me stand there for several seconds and then says "oh, you can just take that to the back of the house with the other gifts." Trust me, if my mother had not been standing right behind me I would have had to bring my dear friend "curt" out to visit with this woman. People, Carmen, would really have gotten worked up, with how much she hates stupid people. Isn't my new purse great? I know its not technically a purse, but it came with such yummy perfume, matching lotion & body wash.
Well girls, you know what they say about moving on...time allows it. So, I've moved from my SATC onto my newest and latest addiction. It's lovebites, a microseries from TBS. Missed them on the tube? I watched them on www.tbs.com. They are about two minutes per episode and a nice fix for those of us that are really being forced to stop deciding whether we are more of a Carrie, Miranda, Charlotte or Samantha. Also, if some of you do not visit Oreo's blog, please pray for Oreo's Mommy. She is having some health problems right now and the kitty is very worried. If you get a chance, please stop by and give Oreo's mom some encouragement. Last night I went to the watch parties for Sandy Garrett and Governor Brad Henry with my cousin. I saw a lot of my old hanging buddies, and had a lot of fun. It was fun to dress up in sequins, and I wore fun shoes with a bow on the back of the ankle (which matched the silkie bow on my dress). Although I don't tell this to people in my real (read non-blogging world) life, my family is fairly well politically connected among old school Oklahoma politicians. Therefore, I always get a real big kick out of people who know a few individuals in the Okla. Congress and feel the need to name drop in my presence. I'm always a lady about it, though. How else do you think I'm attracting real live Knights? Girls, he's here. Literally, my Knight. Here's the story. Since I've recently remarried my job, I've been working 13 hour days. For some reason last Thursday evening Taco Bell sounded really delicious, but since there isn't one in my town, a Taco Bueno it was. I pull up and place my order. As I drive around to the window to pay I am greeted by a very nice man with a British accent. He says, "you are just gorgeous, are you married?" I said "no." He then asked if he could take me out to dinner and then I said, "Are you married?" He said that he was divorced. I didn't say no or yes. He then proceeds to write his phone number down on my receipt and tells me that he'll be getting off at 1:30a.m. and for me to call him then. He then refers to me as "my lady" and promises that with him I'm getting a real gentleman because he is an actual Knight, knighted by the Queen of England. Why is a Knight working at Taco Bueno? Needless to say, I didn't call him. My main reason--I was asleep at 1:30a.m., well that, and he could be an axe-murderer. These, are the reward I bought for myself after a very rewarding day in court today. In fact, today was fantastic. I even had another "lunch date."